If you’re a non-believer in astrology, spend a little time with the Secret Language of Birthdays by Gary Goldschneider and Joost Eiffers. We guarantee it’ll make a believer outta you. It’s a weighty tome, to be sure. Each birthday gets two full pages of on-tar Image via Wikipediaget information as well as the usual celebrity birth dates, etc. Now this is a good book to have. Even better is one of the companion books, the Secret Language of Relationships. Describing 1,176 possibilities, The Secret Language of Relationships sheds light on the classic questions--the hows and whys of chemistry in relationships. Is there a prime ingredient for love at first sight, a Fred Astaire and Ginger Rogers of it all. An entertaining exploration of the very thing we cannot do without--each other--this wonderful volume explains why we feel the way we do about the people in our lives, and how--if necessary--to make it better. You start with a matrix in the front with birth weeks across the top and side. You match your birth date on one axis and find the birth date of your new beloved. Every match-up by birth week gets its own astrological prognosis. We used this book after many, many first dates, none of whom really worked out. Both of them are fun books to take to work occasionally or have at parties because they’re great icebreakers and a lot of fun to watch people’s reactions when they hear their own profiles. Image via WikipediaOther books in the series by Goldschneider and Effers include the Secret Language of Destiny and the Astrology of Time. If you become more involved with astrology, you might want to invest in these books. They’re well worth it. You may even want to take a class or seminar in astrology, or join a newsgroup online. There are so many of them, just do a few searches and you’re sure to find many like-minded spirits. Get complete details about Astrology - Greeks Astrology – Fundamental Astrology. 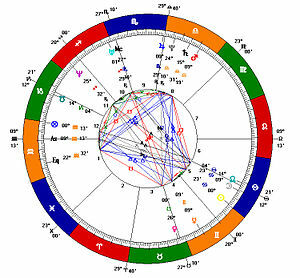 Visit and know the tropical astrology - old astrology. What are the main Astrology Planets? - Role of Sun, Moon, Mercury, Mars, Saturn in Astrology. Visit and find How to find your mate? Astrology Love signs - Zodiac Mate for You. Be caution: Know the astrology scams scams in psychic and astrology scams. Find the best astrology book - Beginners guide for Astrology.